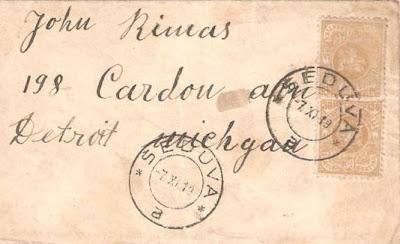 Lietuva (Litauen) 1919.XI.07 COVER with Seduva Pmark. Two 30 cent Berlin iss. stamps (Perf. 11,5x12) of 1919 affixed. Sent to USA, Detroit. On annotated page of Baltic postal history.